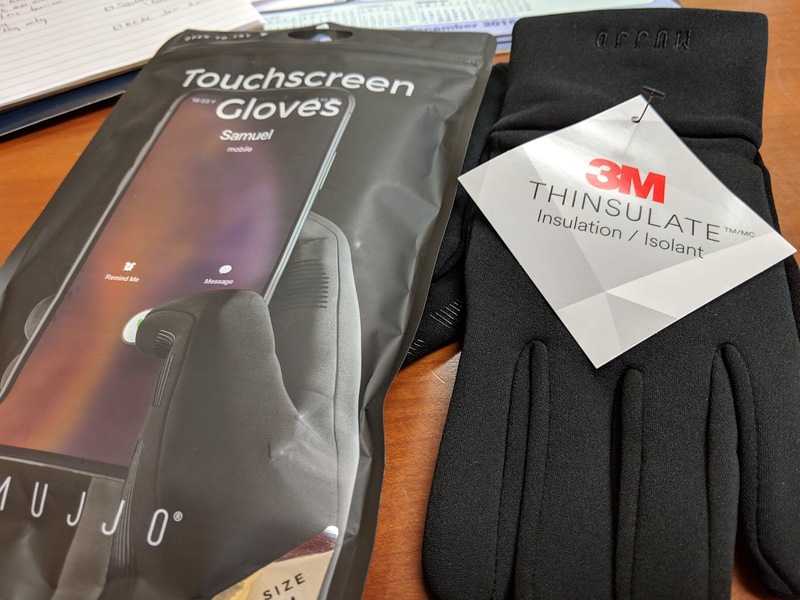 accessories follow up gloves MUJJO Review Touch gloves So how did those Mujjo gloves fare in Northern Ontario? So how did those Mujjo gloves fare in Northern Ontario? Spring is supposed to be here. Minus the snowbanks lurking in shaded areas and we haven't sustained any double-digit celsius temperatures yet ... spring is here for us. That means I've already put away my winter boots, jacket, hats, scarves and gloves. One pair of gloves that stayed with me throughout this winter were my Mujjo gloves. They were comfortable back when I reviewed them and they worked so well... but I live in Northwestern Ontario, how will they last was a real question. Short answer is yes! They perform as well as I'm putting them away as the day I started using them. Looking forward to seeing how they behave when I pull them out in late fall.